Is taking an unreasonable time to give it back. Due to rampant security deposit abuse by landlords across the country, many states have enacted laws to force landlords to deal with deposits fairly. Illinois has its own law called the Security Deposit Return Act, which applies to all buildings in the state that have 5 or more units. Though the Security Deposit Return Act is powerful when it applies, it pales in comparison to Chicago’s local law, the Residential Landlord and Tenant Ordinance (commonly called the “RLTO”). 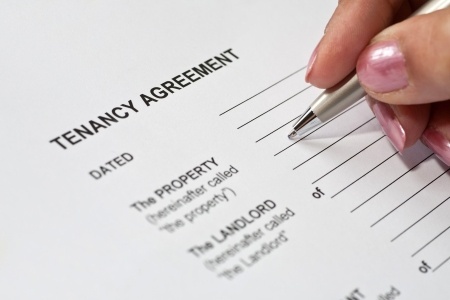 The RLTO is generally regarded as extremely tenant friendly and is one of the most powerful statutes in the country. Its strength comes from the fact that it is strict liability, has attorney fee and cost shifting, has statutory penalties, and most violations are not curable. Receiving reasonable attorney fees and court costs. Landlords almost always mix security deposits with their own funds. The reason this is prohibited is because landlords, like anyone else, can run into financial trouble and if a tenant’s security deposit is mixed in with the landlord’s personal funds, the landlord’s creditors may take the tenant’s money to satisfy a judgment against a landlord. 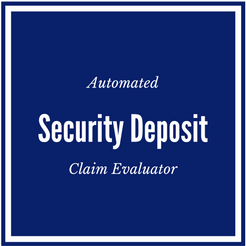 Chicago security deposit law specifically states that the security deposit must be kept in an FDIC insured bank account located in the state of Illinois and shall not be commingled with the assets of the landlord. The deposit must not be subject to the claims of the landlord’s creditors including a foreclosing mortgagee or bankruptcy trustee. Essentially, the landlord has to put a tenant’s deposit in an FDIC insured trust account that does not include any of the landlord’s funds. In our experience, this is almost never done unless the landlord a very savvy corporate landlord. Even though a landlord is holding the tenant’s security deposit, the money still belongs to the tenant. As such, the tenant has a right to the earnings generated by those funds. Though interest rates are currently pathetic, Chicago security deposit law mandates that all deposits be kept in an interest bearing account. Chicago security deposit law requires that the landlord place the name and the address of the financial institution that is holding the tenant’s security deposit on the written rental agreement signed by the tenant. If there is no written rental agreement, the landlord must provide the tenant with a written notification of the name and address of the bank holding the deposit within 14 days of receipt of the deposit. Chicago security deposit law requires that landlords pay interest on security deposits at a statutory rate. Though the interest on deposits is currently very small, failure to pay interest is a serious violation. Interest on the security deposit must be paid within 30 days after the end of each 12-month rental period and can only be paid in cash or credit applied to rent due. Landlords are not permitted to retain the interest until the tenant moves out. After a tenant moves out, a landlord has 45 days to return the security deposit. If the lease was terminated due to fire or other casualty loss, the landlord is only given 7 days to return the deposit. The landlord is only able to deduct unpaid rent and damage beyond ordinary wear and tear from the deposit. Chicago security deposit law requires that the landlord prove the cost of repairing the unit.If a landlord is going to deduct money from the security deposit for damages, the landlord must deliver an itemized statement of damages and the estimated or actual cost of repair to the tenant within 30 days of vacating the unit. If the landlord does not provide this statement, the landlord is prohibited from deducting damages from the deposit. If the actual cost is given, the landlord must attach paid receipts to the statement. If the landlord only provides an estimate of the cost of repairs within the initial 30 days, the landlord has 30 days from the initial estimate to provide the tenant with copies of paid receipts for the repairs or replacements. If the landlord or his employees perform the repairs themselves, a certification of actual costs of repairs is required. If a landlord violates Chicago security deposit law, the landlord is liable for two times the security deposit as a penalty. 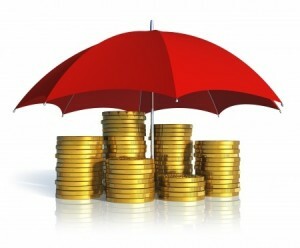 The two times deposit penalty is in addition to the deposit itself, if the tenant is entitled to its return. Moreover, in the case of a failure to provide a proper deposit receipt, the landlord must immediately return the deposit, even if he would otherwise have a right to keep it. If a tenant is successful in pursuing a claim against the landlord, the landlord is legally responsible for the tenant’s reasonable attorney fees and court costs. This allows tenants, who are often in a worse financial position than landlords, to stand up for their rights without having to worry about obtaining money to pay their attorney. Brabender and Chiang devotes the majority of its practice to tenants’ rights litigation. We have successfully assisted many tenants recover their deposits, statutory penalties and attorney fees. If you are interested in obtaining a no-cost no-obligation consultation with one of our attorneys, contact us at (312) 566-8456 or email us at andy@bc-firm.com.